When I was a little girl, my grandma lived to drive out of her way for something she loved to eat. A food lover above all else, she would drive twenty miles north for her favorite enchiladas, half an hour south for the best gingerbread, and over two bridges to find what she considered a superlative bowl of soup. 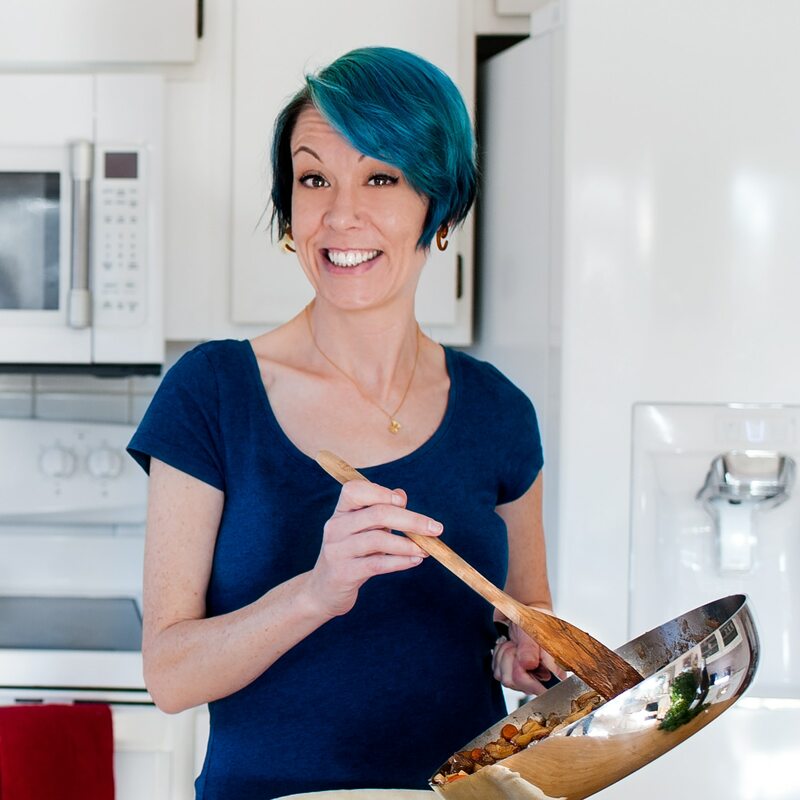 She appreciated the process of seeking out dishes that made her happy, and the adventure was a savory extension of the flavor she was so looking forward to. Like any teenager in a hurry to get away from home, I turned 16 and promptly earned my drivers license. Then I because my grandma’s chauffeur, driving in circles around the Bay Area to ease her cravings. I ventured to Hayward for French bread, got lost in Half Moon Bay looking for Christmas cookies, and on a near-weekly basis, braved traffic down 101 to Palo Alto for smoked ribs from a very specific butcher at a very specific Lunardi’s. I inherited this trait from my grandmother; as an adult with an eye for noteworthy dishes, I too am willing to brave countless miles and hours on the road (or on foot!) to find the perfect something that’s keeping me awake at night. Years later, after she fell asleep at the wheel and drove clean through someone’s front yard, the state took my grandmother’s drivers license. Her main frustration was being limited to the food in her neighborhood, which wasn’t bad, but sadly wasn’t what she wanted. At that point I was a young adult with a busy life of my own, living on a completely different side of the bay, but I’d make time when I could to go find her favorites. One thing she always asked me pick up for her were hot cross buns from a tiny bakery in South San Francisco, 25 miles from her house and almost 40 from mine. 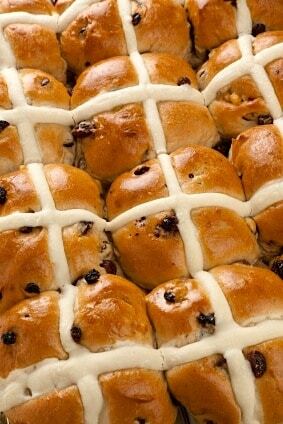 I can’t remember the name of the bakery, but I recall the first time she took me there to try my first hot cross bun. I was maybe six or seven, and my grandma had spun an enticing story of sweet rolls with an even sweeter cross on top made of lemony frosting. Of course I was entranced at the mention of the word “frosting,” so off we went for an afternoon adventure. I remember peeling off the sticky cross and eating that first, then I took a bite of the bun. Which I promptly spit out. I was appalled at the weird, dry, spicy-citrus bread invading in my mouth. I’d imagined moist cake! And icing! Mountains and mountains of sugar! I felt cheated, and didn’t have a problem vocalizing my disappointment. I’ve never considered myself a spoiled child, but woe to anyone that got between me and my tasty expectations. That really hasn’t changed much, and really, that’s another trait I inherited from my grandmother. While I whined about how bad the bun was and begged for a cookie instead, my grandma grimaced at my immature (and very un-Catholic) flavor preferences and dolefully shelled out 25 cents for a sugar cookie with multicolored sprinkles. It would take me years to appreciate the hot cross bun; well into my 20s, in fact. Like many people my palate had bloomed in adulthood, and I was no longer terrified by unfamiliar flavors. Thank god, because I would have missed out of what is now one of my favorite spring treats, these gently sweet little Lenten buns. Sweet tart goodness! This apricot, cherry, cranberry and cardamom hot cross buns recipe is a twist on the traditional citrus-spice buns you see in bakeries around Easter. 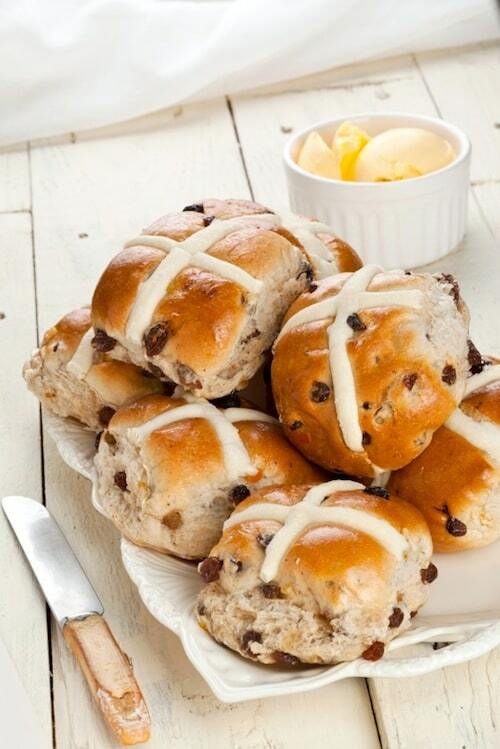 Light and sweet, with a touch of tartness, these bun are the ultimate Lenten treat. Combine all purpose flour, spelt flour, cinnamon, and cardamom in a bowl and mix well. Add warm water, milk, yeast, salt, sugar, beating just until combined. Add egg and butter, mixing until the dough is sticky. Stir in the cranberries, apricots, cherries, and lemon zest. Turn the dough out onto a lightly floured surface. Knead dough until smooth and gluten has formed – feel free to use a stand mixer or good, old fashioned elbow grease. Cover the bowl of dough loosely with a kitchen towel and leave in a warm area until it has doubled in size, between 60 and 70 minutes. Punch down the dough and divide in half. Divide each half in half, and then each lump of dough into thirds. You should have 12 equally-sized buns. Dust your hands with flour and lightly roll each bun into a ball. Set on a floured piece of parchment and cover loosely with a kitchen towel. Allow to double in size again, about 30 to 45 minutes, depending on how warm your kitchen is. While the buns are rising, preheat oven to 375°F (190°C). Once the buns have risen, arrange them on a parchment-covered baking sheet, leaving 3-inches of space between then. Gently make a 1/4-inch deep cross-shaped indentation in each bun with the back of a butter knife, making sure not to cut the surface of the dough. Make the icing for crosses: mix the pastry flour, powdered sugar, lemon juice, and cool water in a small bowl, then slowly trickle in the vegetable oil while beating quickly. You should have a spreadable but not runny consistency. Scoop the icing into a pastry bag and, using a flat, 1/4-inch wide tip, make a cross-shape on each bun, piping into the indentation you created with the butter knife. Wipe up any wayward icing that falls on the parchment, where it will smoke and burn. Slide the baking sheet into the oven, baking the buns for 15 minutes. While they are baking, combine the apricot jam with an equal amount of very hot water and a pinch of cardamom, mixing until you have a thin wash. Use a pastry brush to lightly brush a small amount of thinned jam onto the top of each bun while they are still hot, making sure not to smear the icing. Be judicious! No one likes soggy buns. Transfer buns to a cooling rack. Serve warm with butter and more jam, if you like.